If you answered yes to any of the above, Yanaka is for you. Easily accessible by train, Yanaka is a curious glimpse into old Tokyo. Traditional tiled roofs and temples abound. Shops boast centuries old wood beams. 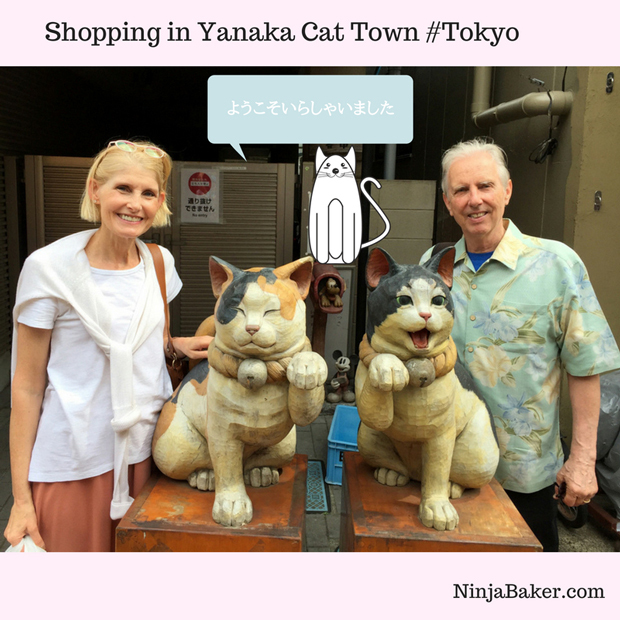 Once upon a time, cats congregated in Yanaka. Ironically, hordes of cat-loving tourists have replaced them. The same cat-loving throngs pour coins into the hands of shopkeepers selling cat tchotchke and candy. Like the older structures, the medium of exchange is still cash. A few exceptions exist. The 100 Yen Shop ・Can Do ( 100円ショップ ・キャン・ドゥ ) accepts credit cards. A touch of pirate fever scooping up gold came over my husband, David and me. It was hard to believe the delicate sakura (cherry blossom) teacups in my hand were 100 yen each! David was ecstatic to find iPhone gadgets well under Apple prices. 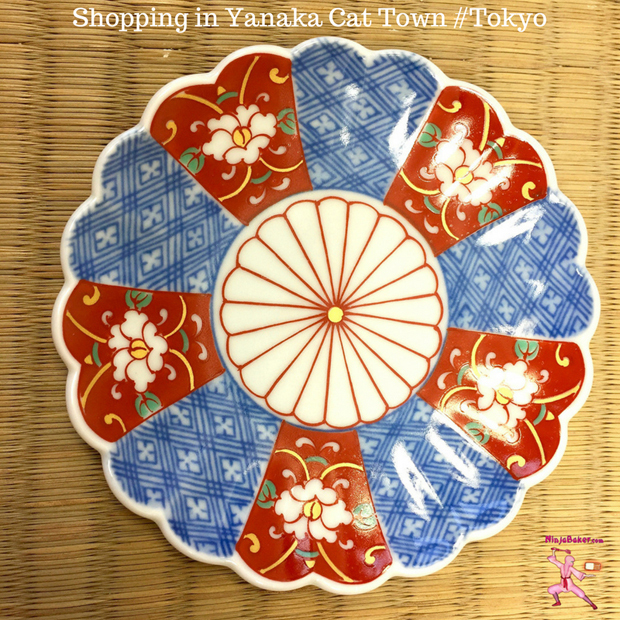 Yanaka is shopping central, too, for Japanese crafts and ceramics. Not cheap. But doesn’t hold a candle to overpriced department store and airport prices. The mini Imari plate I purchased is a treasure. 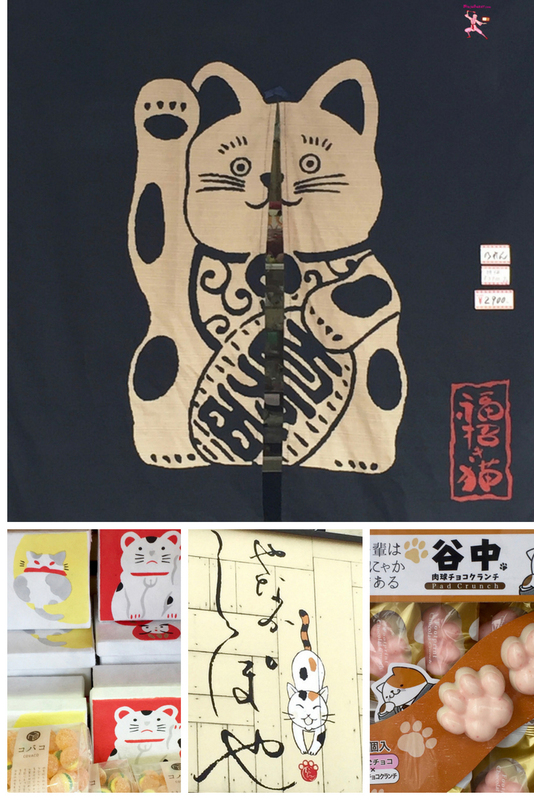 In our Yanaka stroll, I was lucky to glimpse three cats. One belonged to a shopkeeper. (Does that count?) Another two skittered away out of hiding as I approached. And, yes, cat-shaped strawberry chocolate paws were added to my bundle. Nippori Station and Sendagi Station are the closest train stops. Foreign currencies can be exchanged for yen inside Nippori Station. 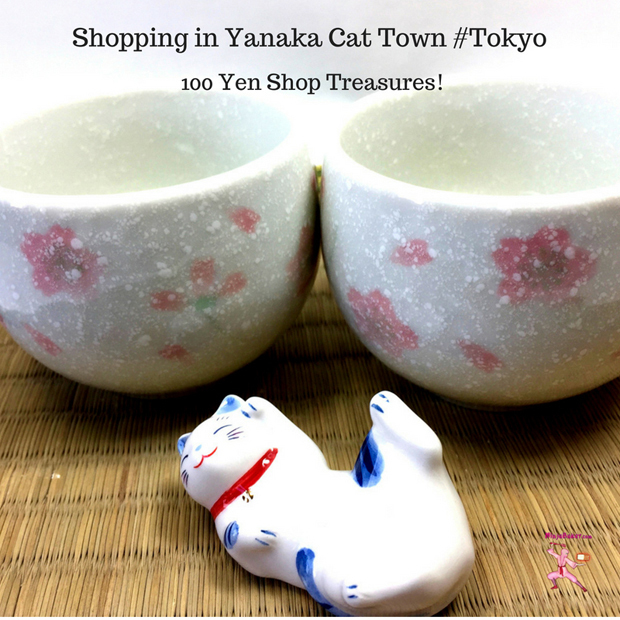 Wishing you Yanaka yummies and treasures!